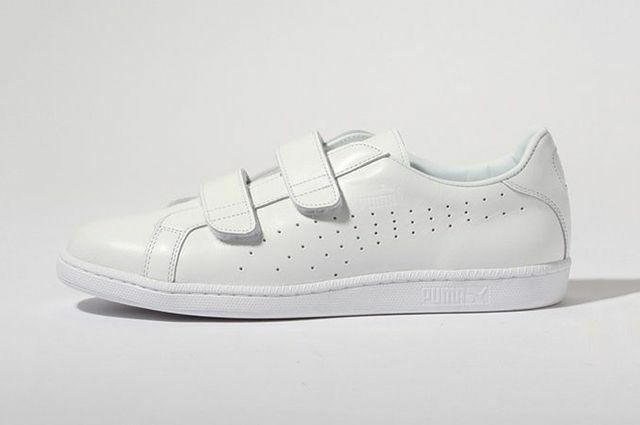 There seems to be a sector of the sneaker world that has a fondness for nursing home swag, as yet again we see a Velcro’d out all white “leather” pair of kicks hitting the market. The latest here is from Puma and sees the Match gone Velcro. Full white uppers are lined in white and perched atop white soles. 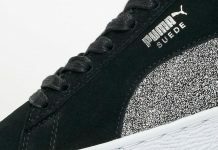 Perforations placed purposefully create a subtle Puma side-stripe, all the while letting the Velcro have the shine. Are you feeling these? We’ve seen them from adidas in several iterations as well as Nike, there must be some people who enjoy the irony. Let us know via MN’s FB and if you’re feeling them cop a pair here or here.